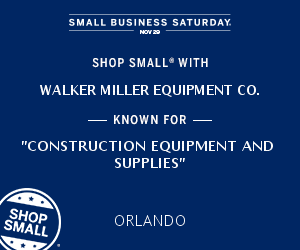 This Saturday, November 29, is an exciting holiday for local businesses like Walker Miller Equipment–it’s Small Business Saturday! Small Business Saturday is a holiday traditionally held the Saturday after Thanksgiving and is a time to support local small businesses. The holiday was created in 2010 by American Express and is also promoted by the U.S. Small Business Administration. In 2011, the U.S. Senate officially recognized the day, and in 2012 approximately $5.5 billion were spent at small businesses on the holiday. Excited about participating in Small Business Saturday this year? Walker Miller Equipment will not be physically open on November 29, but you can place a web order with us any time! To find more small businesses to support, visit shopsmall.com and don’t forget to use the Twitter hashtag #SmallBusinessSaturday or #ShopSmall to flaunt your finds!